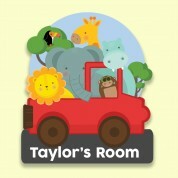 Our adorable animal safari plaque is a wonderful addition to any baby's nursery. 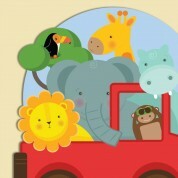 They will love to see the colourful design and learn all the animals names! Our specially designed and cut plaque features a bright red truck, with lots of friendly animals including an elephant, hippo, lion and a cheeky monkey! A little toucan hides in the trees as the animals keep watch over the safari. 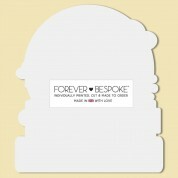 The quirky little door sign makes a special keepsake gift for any of baby's special occasions from their first birthday, to their Christening, Dedication or Baptism.